The end to yet another perfect season of ultramarathon racing!. I feel that this statement offers a true reflection of my racing achievements for 2014. 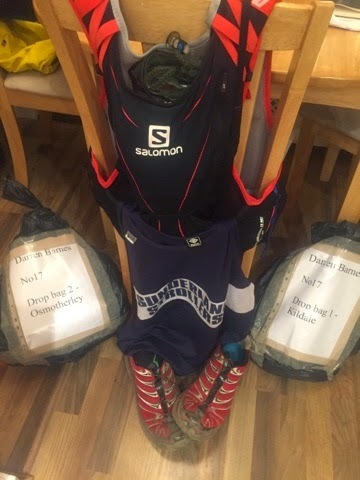 As usual my base training had started way back in January, where I had tried out various running, hydrating and nutritional strategies all designed to help me prepare for the famous West Highland Way 95 mile Ultramarathon. Winter training is always challenging with ever changing and unpredicted weather patterns. You have to be prepared for the worst case scenario as you never know what elements mother nature has in store for you on the day. As most of my runs are based in the hills and are over 20 miles per training session (Character Building)! ........ then I have to ensure that I carry spare layers of clothing, hi energy hydration and nutritional snacks. The following kit list is an example of what I carry during my long winter training runs. My first race of the season was the 32 mile (Howarth Hobble) ultramarathon, which is set in the surrounding foot hills and moorland of West Yorkshire. The race starts and ends in the tiny village called Howarth, which is home to the famous Bronte family, see link for details. Shortly following this race came the (HOKA Highland Fling), which is a 53 mile trail race that follows the famous West Highland Way. The race starts in Milngavie near the Scottish city of Glasgow and finishes in the scenic village called Tyndrum. 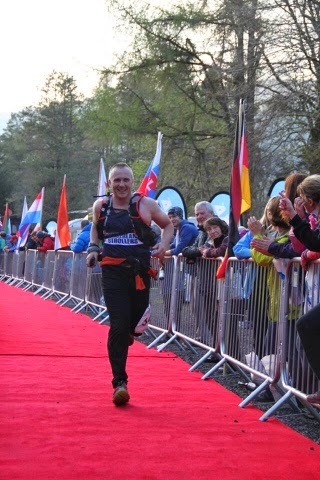 Once again shortly following the Highland Fling I entered the Cateran Trail ultramarathon, which is a 55 mile trail race that follows most of the famous Cateran Trail. The race starts and ends at the Spittal of Glenshee in Perthshire. My hard efforts that I had put in during the long winter training months had certainly paid off, as I had achieved PB's (Personnel Best) in all races. You only get out what you put in ! The above quotation was my new training moto !......... I started plotting out my undulating training schedule and race day strategy. 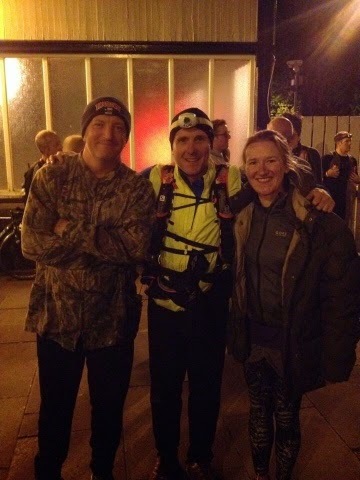 I was fortunate to be able to recruit two fantastic runner friends , John and Sarah who would be my personal support crew for the duration of the race. Being part of a race support crew is a very responsible job. It is vital that each person knows what is expected from them and that they work together as a team, each of them pulling their own weight. If the team does not gel together and have issues, then the runner will surely suffer from this and it could mean the end of the race!. 70 miles of very hilly and tough terrain, but the funny thing was that my legs were still feeling strong and I reckon that they had easily another 26 - 30 miles left in them. This had proved to me that my training strategy had worked and that it also highlighted some minor improvements. Such as investing in better moisture wicking underwear, having prepared an improved hydration and nutritional strategy. It was important to me that soon after my recovery period, that I signed up for more races. The reason for this was to stop me from falling into a mild depression. This is quite common for all runners following a big race. It is vital that following a short recovery period that the runner quickly starts his or her base training. Starting slowly and gradually building up the miles. To finish off the year, I had entered the Jedburgh 3 PEAKS ultramarathon, which is a 38 mile trail race that takes in some of the most stunning scenery of the Scottish Borders. Following this I entered the (Goathland) marathon, where I ran 29 hilly miles around the picturesque North Yorkshire Moors with an injured glute. Ouch !. Finally I had offered my services to Sweep (Last Running Marshall), the Hardmoors (Rosberry Topping) 1/2 trail marathon. An Epic journey into unknown territory -The West Highland Way Race.